For the past two years now I have worked alongside the Aspire School Partnership in Morley, Leeds. Aspire is a cluster of primary schools that use each other as a support network for learning in their local area. Sculpture club is an after school club, where four children are selected from each of the schools to participate in learning about sculpture. 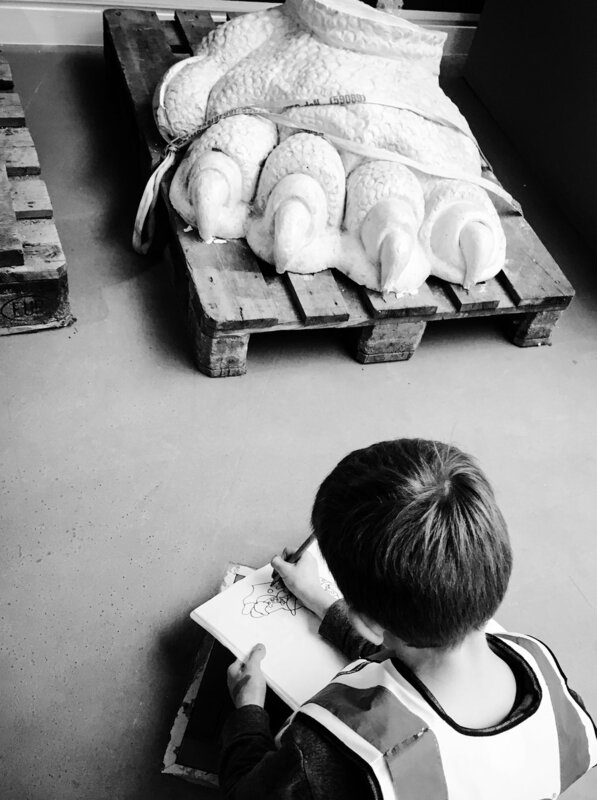 I organize a six-week program where the children have the opportunity to learn about the elements of art and other aspects of understanding the visual world and sculpture in particular. We then visit the Yorkshire Sculpture Park where the children can interact with sculptures in the park. This activity is for children who are underprivileged; it really helps build confidence and is the highlight of my year. Last year in particular had a lasting impression on me, as the children were clearly inspired by the work of Tony Cragg. We spent six weeks learning about his work and when the children saw it in the gallery they were thoroughly engaged. What makes the club so successful in the positive association of so many people from the teachers and TA’s who help with transport, the governors who attend the Sculpture Park visit, to the parents who come to see the celebration event at the end. But most of all, its seeing the children inspired by art and how they can use it to understand their world a bit better. I have been told by a couple of teachers now, that some of the children attending the club have developed confidence that is apparent in other areas of their learning. The artwork by Patrick Brill clearly states ‘Art makes children powerful’ and indeed it does.